First up, I have for Violets R Blue--a blue holographic thermal with added blue, purple and holographic microglitter. This polish is an icy blue at body temperature and a darker, almost periwinkle blue when cold. Both application and formula was good but do allow each coat to dry completely before applying the next to avoid any patches. 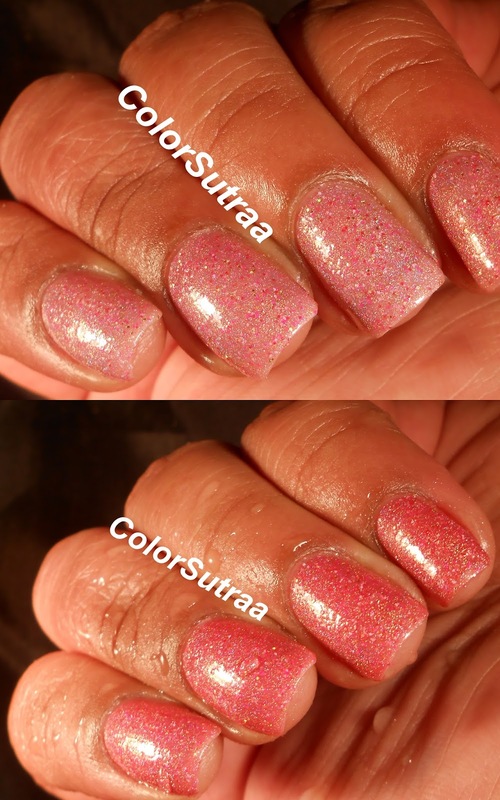 The swatches below show 3 coats with 1 thin coat of G&G's HK Girl for added shine. Beautiful, right? The second polish I have for you is Roses R Red--a pink holographic thermal with added pink, silver and holographic microglitter. This polish is the palest pink at body temperature and a darker, rose shade when cold. Again, be patient while applying and let each coat dry completely to avoid any streakiness. 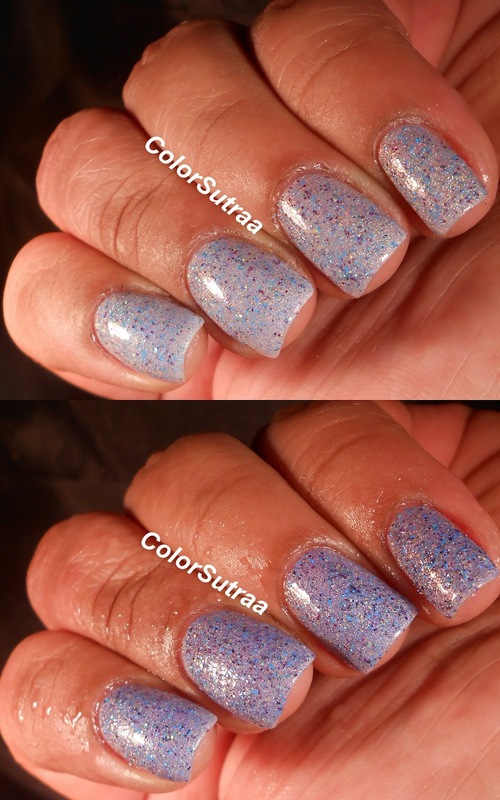 The swatches below show 3 coats with 1 thin coat of G&G's HK Girl for added shine. Lovely!